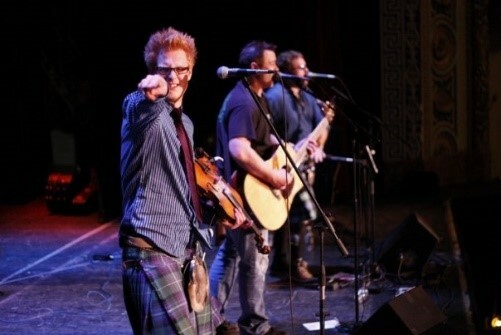 Described as bold, unorthodox, vibrant and evocative, the Glengarry Bhoys’ hybrid of Canadian Highland Scots and French Canadian musical idioms has evolved into a sound that is weighty, authoritative and extremely entertaining. Their blend of traditional music, fused with the multicultural sounds of modern and contemporary Celtic music, has brought them international acclaim. Fiery guitar and bass, intense percussion and fiddle, teamed with pipes and vocals, make for a memorable performance.